Russian President Vladimir Putin and Turkish President Recep Tayyip Erdogan during phone talks on Thursday called for an unbiased and detailed investigation of an alleged use of toxic agents in Syria's Idlib province, the Kremlin said. 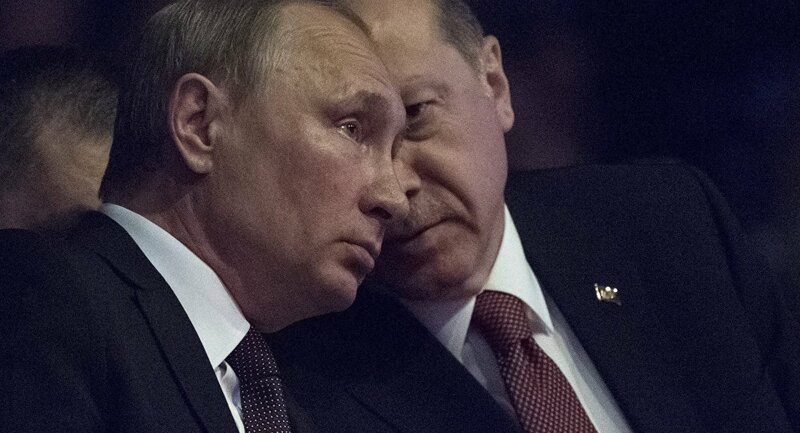 MOSCOW (Sputnik) — Putin and Erdogan discussed in phone talks on Thursday the recent developments in Syria and their commitments to the ceasefire and peace process in the war-torn country. "The presidents discussed the development of the situation in Syria and reaffirmed their readiness to continue joint efforts to ensure the cessation of hostilities, as well as to promote the inter-Syrian negotiation process both in Astana and in Geneva formats," the Kremlin said in a statement. "The leaders called for the prompt and objective international investigation of the chemical weapons incident in Khan Shaykhun on April 4," the Kremlin said in a statement. Early April 7, the United States launched 59 Tomahawk cruise missiles at the Syrian military airfield in Ash Sha’irat, located about 40 kilometers (25 miles) from the city of Homs. US President Donald Trump said the attack was a response to the alleged chemical weapon use in Syria's Idlib on Tuesday, which Washington blames on the Syrian government. Turkish President praised the strike on a Syrian airbase, but said he does not consider it to be sufficient.